Rising costs of water and energy are inspiring many people to seek environmentally sustainable alternatives to their thirsty, work-intensive lawns. Consequently, clover lawns have gained popularity in recent years. A clover lawn can be a low-cost, low-maintenance alternative to traditional turf lawns—especially in shady or problem areas of your yard. Of the two, the best choice for most people and situations is the mixed grass/clover lawn. You can either overseed clover into your existing lawn or begin one from scratch. 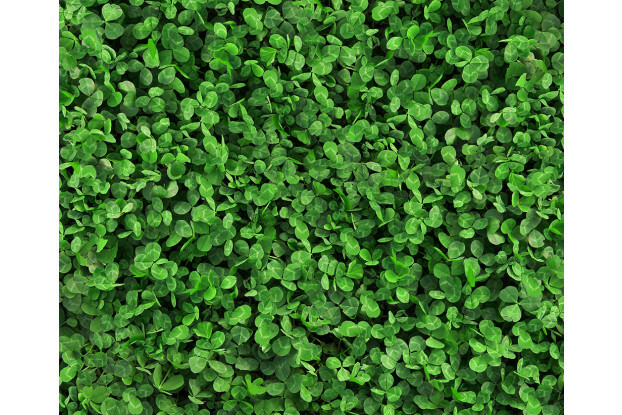 If a clover lawn is right for you, there are many advantages over traditional bluegrass or bermuda grass lawns. Never needs fertilizer. Clover is a nitrogen-fixer, which means it takes nitrogen from the air, via bacteria living in nodules on the roots. This allows the plant to “create” fertilizer for itself and other nearby plants. This means that grass intermixed with clover is healthier and greener than grass seeded alone. Spring green-up/winter color. Clover greens-up in early spring and remains green until winter. In warmer regions such as the Southern US, it may remain green all year. Little mowing. Clover grows 2-8” tall and requires little mowing to keep it manicured. You may decide to mow in midsummer to remove dead blooms, neaten the appearance, or prevent additional blooming. No herbicides/out-competes weeds. Some herbicides kill clover, but once established clover can be persistent to the point of out-competing most other weeds. Weeds that do establish can be hand-rouged or spot-treated with an appropriate herbicide. Grows in poor soil. Clover tolerates a wide variety of soil conditions, including poor-draining soils and low quality soils exposed by new construction. Clover also tolerates compacted soil better than lawn grasses, and therefore needs little to no seasonal aeration. Terrific texture/smell. Soft and cool, clover feels great on bare feet. Clover also has a mild, pleasing aroma and attractive blooms. No more dog spots. The urine of female dogs discolors lawn grasses; clover is unaffected. Traditional grass lawns handle heavy foot-traffic (sports, kids, dogs, etc.) better than clover lawns. Clover will stain clothing easier than a grass lawn and can be difficult to launder. 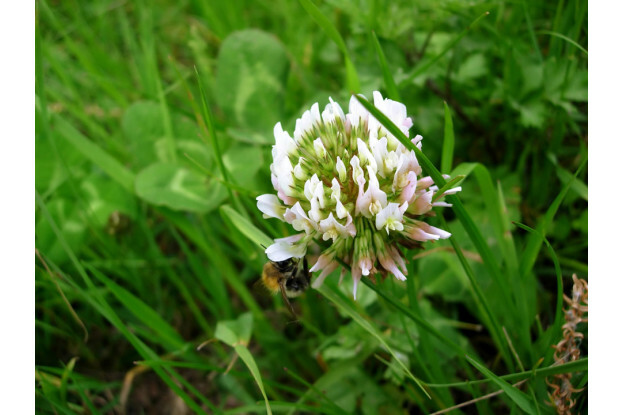 Clover is an excellent pollinator species, attracting honeybees, bumblebees and other beneficial insects. Gardeners may appreciate the bee activity, but it may concern those allergic to beestings. Reduce these concerns by mowing more frequently during the growing season to remove blooms.